The ITC is looking to hire an intern who is currently majoring in marketing and/or business. The Sales and Marketing Intern will work directly with the ITC President to gain experience in lead generation, inbound and outbound sales and marketing processes, and the creation of marketing collateral materials. For details, go to: https://www.intellicad.org/career-opportunities. Based on the latest IntelliCAD 8.3 engine, ActCAD 2018 version 8.3.642 is available in Professional and Standard; 64-bit and 32-bit. Along with improvements and fixes, this latest version of ActCAD 2018 also includes a new drawing creation dialog, new drawing templates, a new UNITS dialog, and new hatch patterns and linetypes. ActCAD 2018 users can update to the latest version using the CHECKFORUPDATES command. New users can download the latest ActCAD 2018 version directly from the ActCAD website in the downloads area. For more details about the ActCAD 2018 maintenance release, see the ActCAD news. ActCAD 2017 version 8.2.1071, based on the IntelliCAD engine, is now available for ActCAD 2017 Professional and Standard, 64-bit and 32-bit versions. Along with improvements and fixes, this latest version of ActCAD 2017 also includes a new drawing creation dialog, new drawing templates, a new UNITS dialog, and new hatch patterns and linetypes. ActCAD 2017 users can update to the latest version using the CHECKFORUPDATES command. New users can download the latest ActCAD 2017 version directly from the ActCAD website in the downloads area. For more information about the IntelliCAD engine and development platform, see the IntelliCAD website. If you’re headed to the upcoming construction tradeshow in Bogotá, Cuba, June 21-23, stop by and check out FRAMECAD and IntelliCAD. FRAMECAD is a rapid steel framing design and build system based on IntelliCAD. For more details about FRAMECAD at the tradeshow, see here (in Spanish). 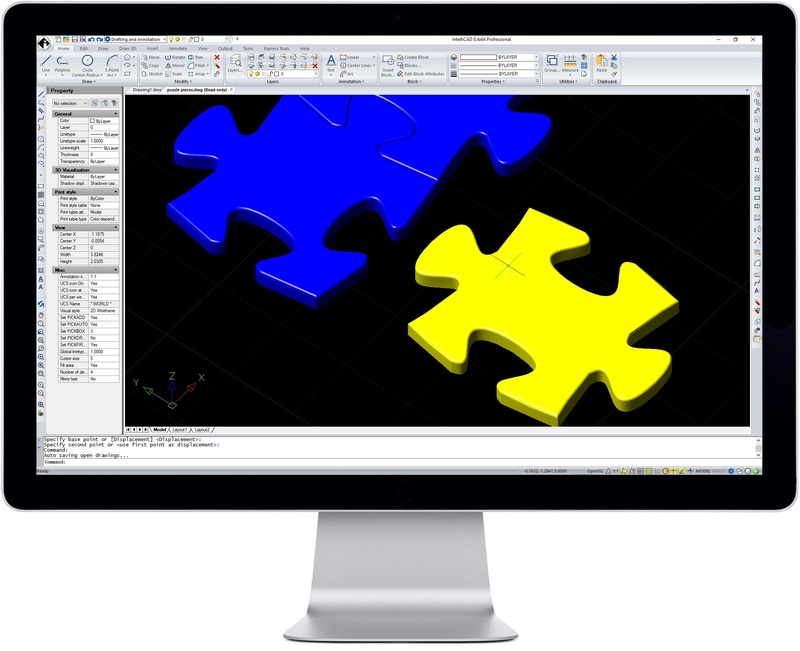 CMS IntelliCAD 8.3 PE Cloud CAD software was just released from CAD-Manufacturing Systems (CMS). 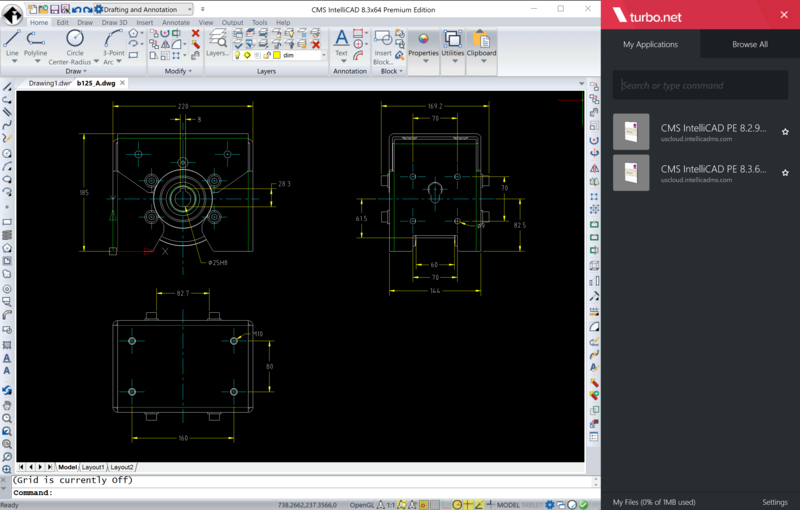 CMS IntelliCAD 8.3 PE Cloud, based on the IntelliCAD engine, uses application streaming to run full-featured CAD software directly from the internet without installation or decreased performance. Interested in delivering and working with CAD drawings in the cloud? Check out the CMS website and the CMS blog for more details. Interested in how CMS benefits from membership in the IntelliCAD Technology Consortium? See the Success Story.